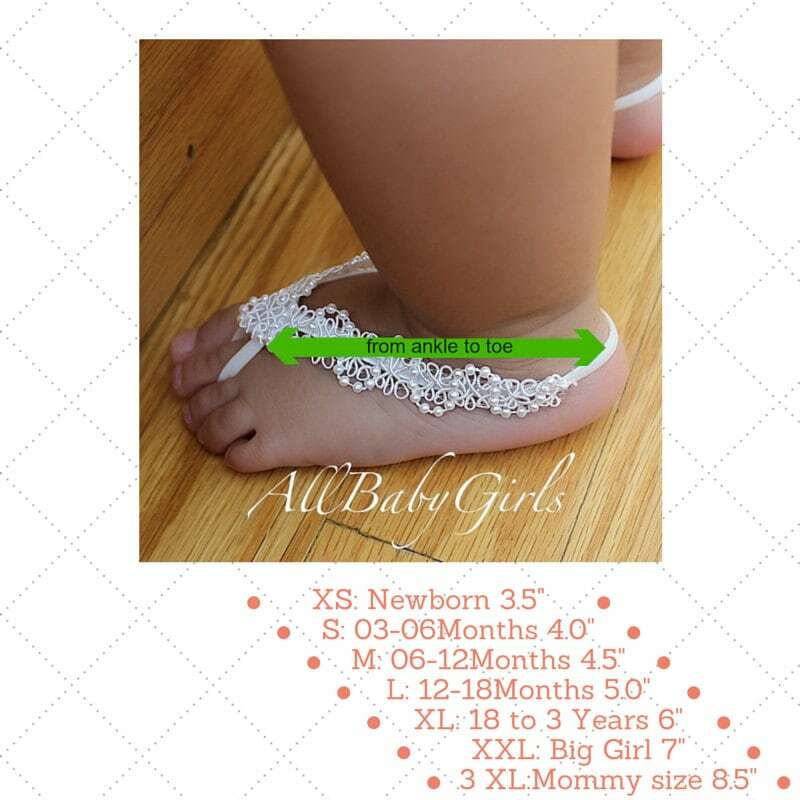 These White Fringe Baby Barefoot Sandals are just perfect for any age! Love these sandals! My daughter just turned one, and she hates shoes. She normally kicks them all off. These did not bother her as much, and are super cute. 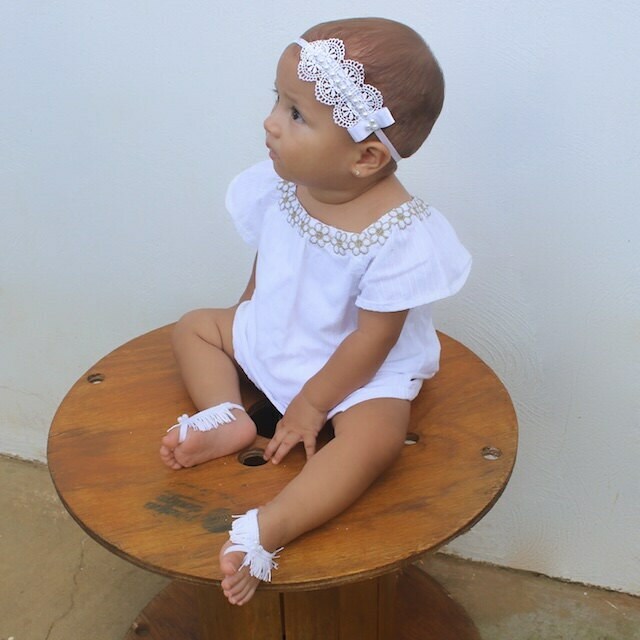 My daughter wore them for her baptism/birthday, and many people complimented her. Adorable! Sweet seller, fast shipping!